Anoka County Plat Map, Abstract and Index - 1888. Anoka: Anoka County Genealogical Society, 2000. Our Lady of Lourdes Church Records, Parish Census 1907 (microfilm). Minnesota Genealogical Society, South St. Paul. St. Anthony of Padua Church Records, Marriages and Baptisms 1851-1858, Baptisms 1851-1935, Marriages 1851-1935 (all microfilm). Minnesota Genealogical Society, South St. Paul. Belde, Walter W. 1938. “Red River Trails A, B, C and BC” 148 C 12 5). Minnesota Historical Society, St Paul. Notes: WPA-funded compilation of US land surveyor’s original plats and field notes . Original at Minnesota Secretary of State’s Office. Appears as “1847 Oxcart Map” in outline. “Map of Anoka County, Minn.” Andres Atlas, 1874. 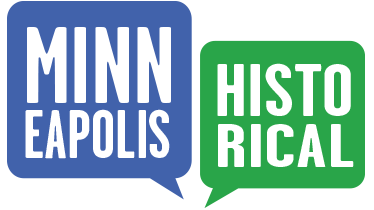 Anoka County Historical Society. “Map of Road from Point Douglas to Fort Ripley,” (Roads 99) NARG 77, Washington County Commissioners, Record Book B, Proceedings, June 21, September 3, 1873. County Auditor’s Office, Stillwater. “Map of the U.S. Government Road from Point Douglas to Fort Ripley, from the Survey made in 1857.” County Auditor’s Office, Sherburne County Courthouse, Elk River. Notes: The only road on most of these maps is the Red River Road, which kept that name after the route became the military road. Casswell, Mary Woodbury. “Reminiscences,” Historic Sites, Woodbury House File 4. Anoka County Historical Society, Anoka. Davis, Michael, William Davis, and Mrs. William Davis [Sarah Norton?]. “Pioneer Questionnaires and Oral History.” Historical Data Project (Rolette County), North Dakota Historical Society, Belcourt. Microfilm at Minnesota Historical Society, St. Paul. Notes: WPA-funded oral history project includes accounts about Red River life, buffalo hunt, and pemmican-making. Goiffon, Joseph. “Journal.” Anoka County Historical Society, Anoka. Notes: See description of St. Paul when the “Pembinese” come to town (p. 169). Good etchings. Notes: Traders, explorers, pioneers. See Ch. 46 (People of Pembina) and 48 (on capote). Notes: Travel to Pembina with Ramsey in 1951, with Pierre Bottineau as guide. Use. Notes: Henry established a new NWCo fort at Pembina in 1801, soon joined by HBCo and XYCo forts. Journal describes earliest carts. A source for Mattson and for Gilman, et al. Use. Devine, Heather. 2004. "The People Who Own Themselves: Aboriginal Ethnogenesis in a Canadian Family, 1660-1900." Calgary: University of Calgary Press. Notes: On Desjarlais family, intermarried with Bottineau. Analysis of genealogical method. Notes: Good audio resource: Michif language tools from Saskachwan- based Métis Culture and History organization, including dictionary, lessons, and Android app. Notes: Before our time period, but Pond (language) or McLeod (Red River) are early context. Notes: Describes camp and hunt, based on accounts of the day. Use. Notes: Exhibition catalogue, great resources. Use Métis sash at MNHS, p. 69? Notes: Our central source, but light on detail for Upper Mississippi Riverfront. Expand. [Gorneau] Charlie White Weasel. [1994?] "Pembina and Turtle Mountain Ojibway (Chippewa) History from the Personal Collections and Writings of Charlie White Weasel." Belcourt, ND: Charlie White Weasel. Notes: Overview of Garrioch’s journal, on settlements at mouth of Minnesota River and 1837 Treaty negotiations with Ojibwe at Ft. Snelling. Have excerpts from MNHS, not useful. Henry, Alexander. See Coues, above. Notes: Useful on what comes after Red River trade, as US-Canadian border is surveyed in early 1870s and fur trade moves further northwest. Notes: Classic story of the Red River Settlement and Riel resistance. Notes: Contemporary short stories by a writer who is Métis, grew up in Iowa, and teaches at the University of Arkansas. Themes include travel and dispossession, race, belonging. Notes: Irish-Canadian portraitist inspired by Catlin and supported by HBCo. Travelled the Northwest 1845-8. Visit to Red River begins Ch. 4 with account of carts (p. 76) and hunt (77ff). Images include View (74) and Buffalo (143). See also paintings at National Gallery of Canada and Royal Ontario Museum. Notes: List of historic properties above the falls. Develop for our purposes. Notes: Helen Sibley was the daughter of Henry Hastings Sibley and a Dakota woman known as Red Blanket Woman (Tahshinahohindoway). The book explores her marginal position as a way of understanding Minnesota at statehood. Notes: Pamphlet for Minnesota Centennial celebrations, a companion to Hagen’s trek. McCann, Loretta, and Lorraine Hilger. about 1986. "Dan McCann and Margaret McCann and their descendants," family genealogy (from John Aaron Theis, descendent of Charles Joseph Bottineau (Sr.), Techomehgood). Morin, Gail. 1996. "Metis Families: A Genealogical Compendium." Pawtucket, RI: Quintin Publications. Notes: Pioneer memories, esp. of St. Anthony area. Ch. 1 is on old trails. Use (see JS notes). Notes: Use for settlement of Upper St. Anthony and Marshall Terrace at end of our period. Notes: Good map of trails – not too detailed, could reproduce well to show network of routes. Ostby, Orlin. 2008. "Pum & The Pembina Trail - Part of the Minnesota Sesquicentennial Celebration." http://pembinatrail.blogspot.com. Notes: Métis settlement (p. 234ff); 1840 buffalo hunt (245-264); both buffalo and Indians as “vanishing” (267). Notes: Striking poems, many focusing on connection to ancestors, land. Scofield is Métis; he teaches at Alberta College of Art and Design. Singley, Grover. 1974. "Tracing Minnesota's Old Government Roads." St. Paul: Minnesota Historical Society Press. Notes: See roster of fur traders in Upper Mississippi 1795-1822. Use for families. Notes: Useful general perspective. Influential analysis of early contact world as a joint, syncretic, mutually-negotiated creation of European and indigenous peoples, until Americans were able to dominate and demand Native acculturation. Notes: Biographies of trader-statesmen (throughout), Red River carts (p. 304-308). Notes: Useful general perspective. Develops R. White’s approach (above): foregrounds Indian agency in creating New World and extends periodization. See also epilogue on Riel. Reggie McLeod for the Minneapolis Riverfront Partnership (Copyright 2017, Minneapolis Riverfront Partnership), “Bibliography for Red River Ox Cart Trail ,” Minneapolis Historical, accessed April 22, 2019, http://minneapolishistorical.org/items/show/155.